Ohh happy days – not only have we made it to Saturday morning, but we’ve also (if you’re from the same part of the world as me) made it to the start of a long weekend! God bless the Queen and happy birthday to her! This is gonna seem a random post, but for some reason, I often associate public holidays with Chinatown. Weird, right? Actually, not so much – I’ve found that generally, where ever I am in the world and what ever else is going on/which ever other establishments are closed for whatever reason, Chinatown is pretty much always open. Even on public holidays. You can still get a good plate of dumplings and a side of fortune cookies even when everyone else is taking the day off. So here’s to you, Chinatown, all over the globe! I really do love a good Chinatown, and have heard so many times that the one in San Francisco is one of the best in the world. I also grew up watching Charmed, and remember watching so many scenes of the sisters in Chinatown buying various herbs and what not… I was excited to finally be going to visit! 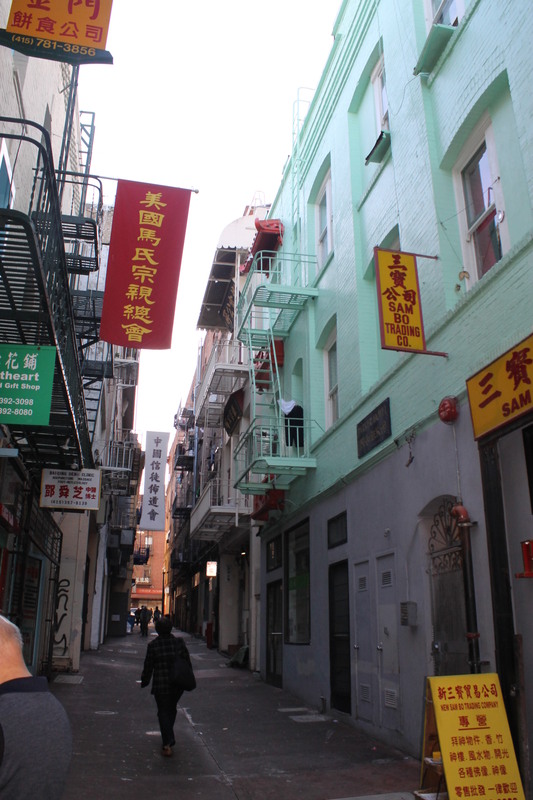 One of the must-do things for your San Francisco Chinatown visit should be the Golden Gate Fortune Cookie Factory on Ross Alley, where this photo was taken. They don’t allow any photographs in store (not without a small “donation,” anyway), but they are more than generous with free samples, and a bag of cookies to take with you won’t cost much – and you definitely want to take a bag home, because they’re delicious! Hahaha that’s fantastic Becky!! Definitely a little concerning, but pretty funny!